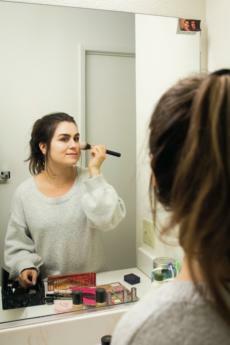 Elizabeth Johnson | Banner | Talia Friesen, senior photography major, has been using cruelty free makeup for as long as she can remember. Talia especially likes to use Urban Decay Cosmetics because of the high quality. 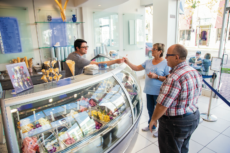 Madison Santana | Banner | Jake Strommen, general manager of Frost in Rancho Cucamonga serves two guests samples of the restaurant’s various gelato flavors. 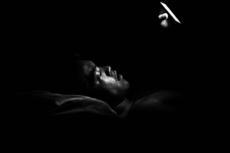 Sage Zbinden | The Banner | Deitrik Ito, sophomore film major, lies awake at night scrolling through social media before heading to bed.